You can now quickly unlock Dashlane without having to type your PIN or master password. This article explains how to enable Finger Scanner/Fingerprint for selected Android devices. 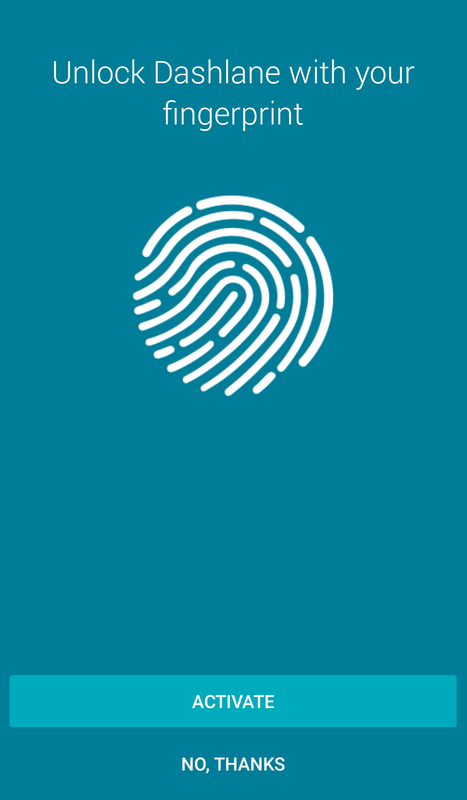 First you need to make sure your device is equipped with a Fingerprint sensor that is currently supported by Dashlane. We support the Imprint fingerprint recognition feature currently available on most devices running Android 6.0 or above. Note that we no longer support the Finger Scanner fingerprint recognition feature available on older Samsung devices. These include some Samsung devices running Android 5.0, as well as the Samsung Galaxy S5 & Note 4, despite the fact that they are running Android 6.0. You also need to make sure that you are running the most recent version of Dashlane for your device. Click here to check if there's any update available on the Play Store. Lastly, you need to make sure that your device itself uses a lock-screen (PIN, fingerprint or scheme) in order to enable Dashlane's fingerprint authentication. Finger Scanner/Fingerprint is a new way to lock and unlock your device and its apps. It basically represents a substitute for the PIN code lock. Instead of entering your PIN – or your master password if you did not enable PIN protection – to unlock Dashlane, Dashlane can read your fingerprint and unlock the app. However, your account data remains encrypted with your master password in Dashlane. This means that after restarting your device, you will be prompted to enter your master password to open Dashlane and decipher your data. In addition, your master password is also required every few days as a security protection and to make sure that you remember it (as your account data can only be deciphered using your master password). This is why Finger Scanner/Fingerprint cannot replace your master password completely; you will still need to type your master password occasionally. 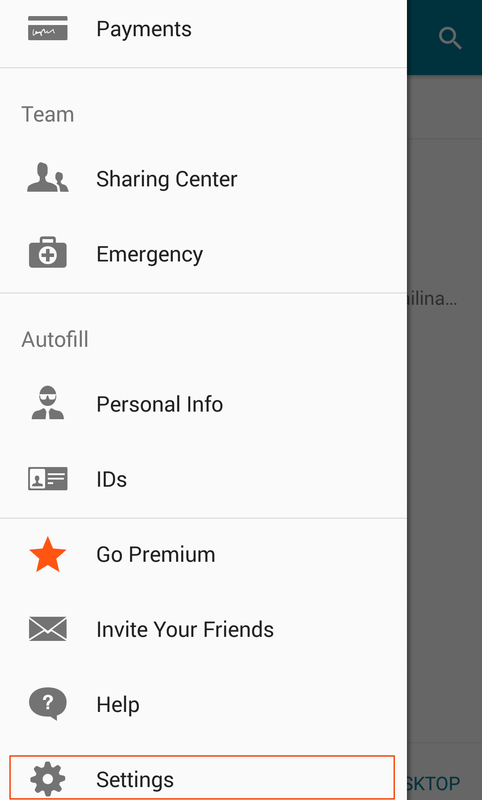 In order to enable the feature in Dashlane, you will first need to enable it in the Android settings. If you are not already using Finger Scanner/Fingerprint to unlock your Android device, the option will not work in Dashlane. 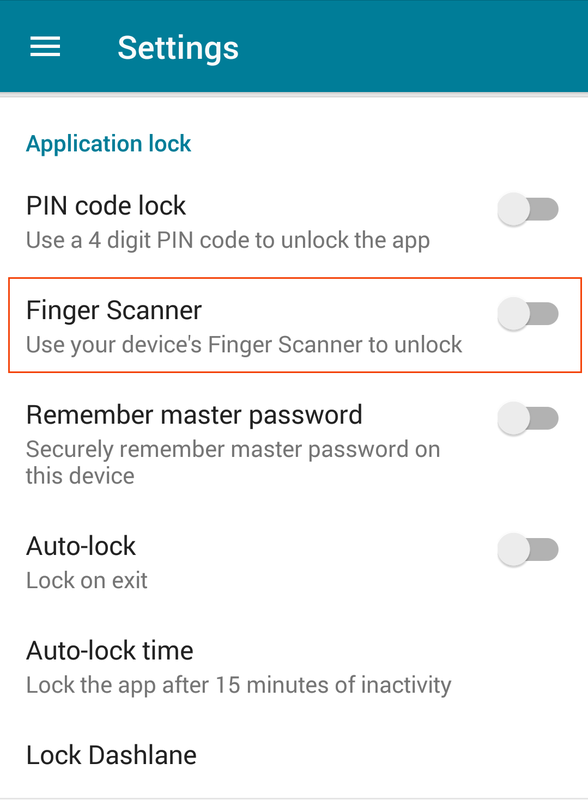 If you have any problems enabling it, disable Finger Scanner/Fingerprint in Dashlane, then disable and re-enable the feature in the Android settings. Then make sure that the PIN code lock is turned off in the Dashlane settings and turn Finger Scanner/Fingerprint on again in Dashlane. You can find these features in the Settings menu - they are particularly nice to have enabled together with Finger Scanner/Fingerprint. If you enable one of these features above, Dashlane will be able to auto-log you in to the apps you have downloaded on your device! 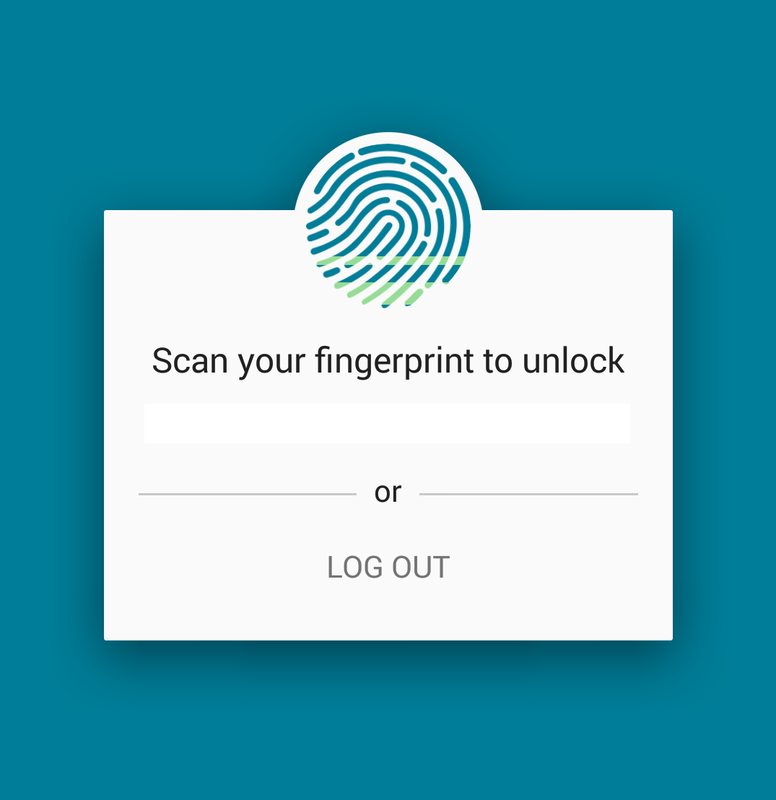 If you open an app and try to have Dashlane sign you in while your Dashlane account is locked, you'll be able to unlock it in a second with Finger Scanner/Fingerprint! More info here on Auto-login. You can set a timer to your app so that it locks automatically after a certain period of inactivity. This is especially useful if your phone is stolen and you want to make sure no one can access your data. You can choose a time between 10 seconds and 10 minutes. After this time period, you will have to use Finger Scanner/Fingerprint to unlock it. You could also disable this by selecting Never, but we don't recommend this setting as it's not perfectly secure. If you've enabled this feature, then the app will automatically lock whenever you leave it (when going back to the Home screen on Android, when switching between apps or when locking the screen) and require that you use Finger Scanner/Fingerprint to unlock it. We recommend that you keep this setting on as it provides more security. Once Finger Scanner/Fingerprint has been set up, you will be able to use it instead of entering your PIN or master password when unlocking the app. Simply swipe your finger slowly and lightly on the Home button of your device. If Finger Scanner/Fingerprint fails to recognize your finger, you'll be asked to try again. After three unsuccessful attempts, you will need to enter your master password.